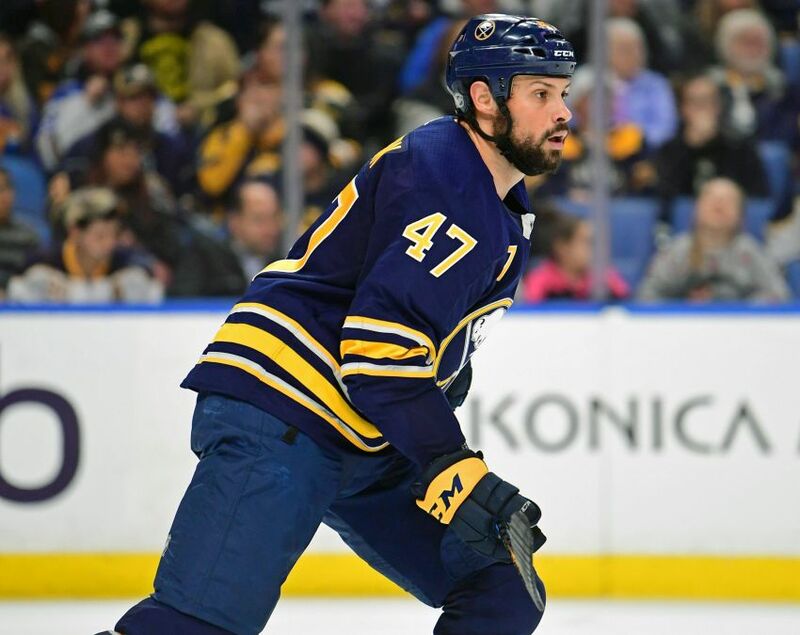 Buffalo Sabres defenseman Zach Bogosian, who hasn’t played a regular-season game since Jan. 9, will return for Tuesday’s tilt against the Vegas Golden Knights. Bogosian, 28, underwent season-ending hip surgery in February. The Sabres eased him along in training camp, holding him out of some practices. But Bogosian suffered a lower-body injury during a Sept. 25 preseason game. He has refused to say if it was related to his hip injury. With Bogosian back, the Sabres will scratch defenseman Casey Nelson, according to reports. They also sent defenseman Matt Tennyson to the Rochester Americans to create a roster spot. Nice guy but he won’t last the season!